January 6th is a National holiday in Italy. It is the Epifania (Epiphany), a Christian holiday celebrated precisely 12 days after Christmas. The Epiphany celebrates the first manifestation of Jesus to the world through the visit of the Re Magi (three wise men) coming from the East, led by a comet to adore the Baby Jesus and to offer their gifts of gold (symbol of royalty), frankincense (symbol of divinity), and myrrh (symbol of the future redemptive suffering). The celebration of the Epiphany is also accompanied by traditions of very ancient lineage (solar cults) and in particular the visit of la Befana on the eve of January 6th. The tradition of La Befana may actually predates Christianity, as it is believed to have derived from a pagan goddess or oracle that Romans sought for guidance and gifts at the start of each new year. With this rhyme the Italian children every year celebrate the arrival of the old, good witch. 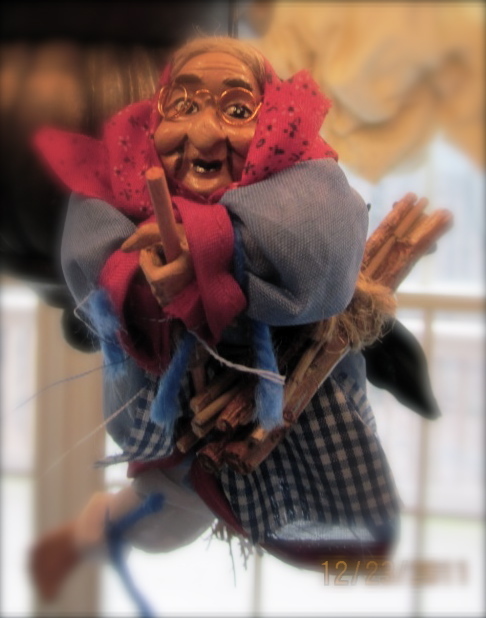 La Befana is a typical Italian tradition. 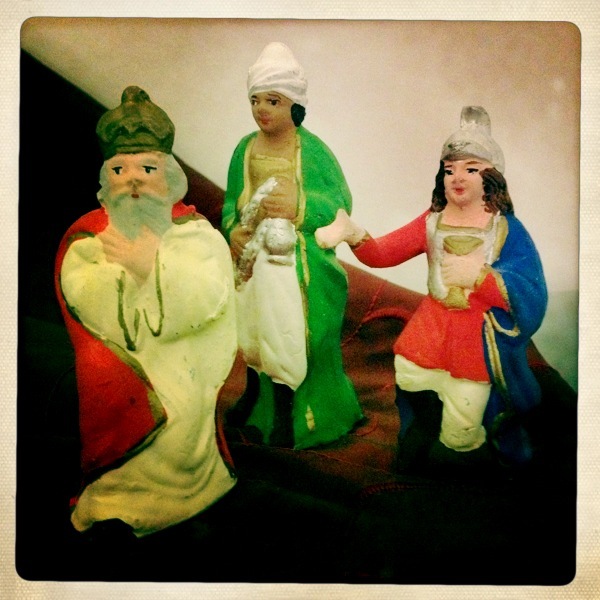 According to the modern legend, the Re Magi (The three Wise men), on their way to Bethlehem to bring gifts to Baby Jesus, stopped for directions at an old woman’s house. Despite their insistence in following them, the old woman did not go, as she was busy sweeping the floors. Later, the old woman repented, prepared a basket of sweets and left the house hoping to find the three Wise Men. She stopped at every house and gave candies to the children, in the hope that one of them was Baby Jesus. Poor Befana never found her way to Bethlehem. Every year however, at Christmastime, she takes her broom and flies all over the Italian sky, leaving gifts and candies to every children. La Befana is typically depicted as an old beneficent woman, with the hump nose and pointed chin, dressed in rags and covered with soot, because she enters into the houses through the chimney, which represents the connection between sky and earth. She carries on her shoulder a bag full of gifts, and is said to sweep the kitchen with her broom when she leaves her gifts in the children‘s socks. The festivity of the Befana is particularly felt in Rome, where many families each year gather in Piazza Navona to meet the Befana, and enjoy her confectionary. The Befana traditionally rewards the well-behaved children with gifts and candies, while she punishes the ones who have misbehaved, with pieces of coal as a reminder of their misdeeds. But. . . nobody is perfect, so you will find in the “calza” (sock – stocking) a nice chunk of coal and then, digging deeper, among some walnut and mandarins you will always find candies and chocolates. The eve of the Befana is a night of expectation for all the children who, before going to sleep, write the letterina (short letter). The letterina to the Befana is a must. You write how good you have been or how sorry you are for your misbehaving. Then you ask for gifts for yourself and for your loved ones. One more thing before going to sleep must be done, setting up a tray with the Befana’s meal. I know. . . you are thinking cookies and milk just like Santa Claus! Well, you could not be more wrong. . . cheese, tangerines and a glass of red wine! In true Italian style! 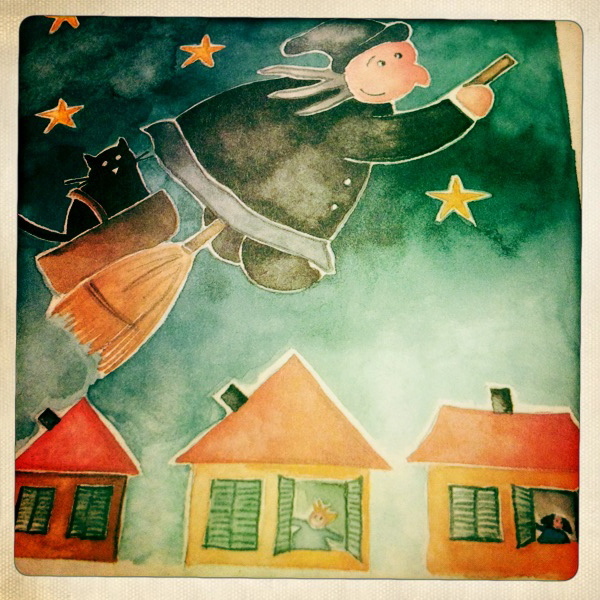 I have many memories of the night of the Befana but, two in particular that I would like to share. When I was a child, my family didn’t have a fireplace to hang the stockings so my mom would set up a drying rack. One year, I remember hanging long wool tights on each string of the rack. That was a lot of stuffing to do for poor Befana! I remember waking up the following morning and finding the drying rack set on top of the dining room table, all the tights were filled and a beautiful electric train was assembled at the foot of the drying rack all along the edge of the table. Oh, I was so happy! My second memory brings a little sadness. I was six years old when my grandmother passed away, just two days before the Epiphany. I was sent to stay with some close friends. That year, in a home that was not mine, I had not written my letterina (short letter), or left a meal for the Befana, and not even hung my calza (stocking). Despite all, I woke up to find my calza (stocking) filled as usual, and the gift I had wished for. 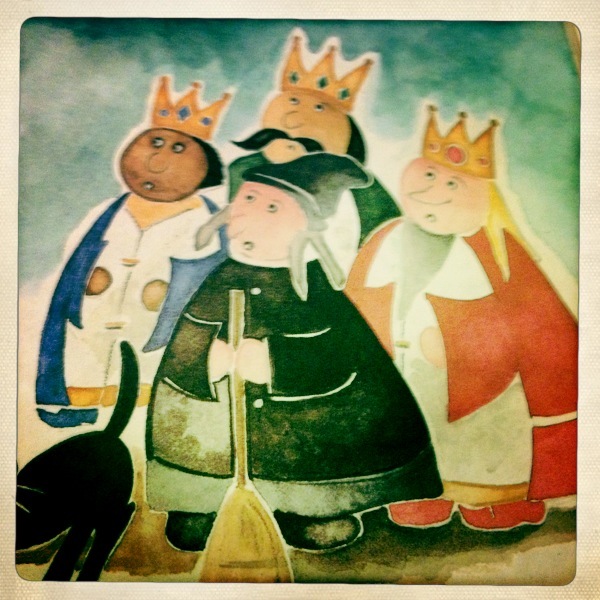 My Befana knew, and even in a time of grief she remembered that I was only a little child. My mother has filled my brothers’ stockings and mine until we moved out. Often with the candies, walnuts and tangerines, we would also find a scarf or hat that she had hand knitted. Today, I still fill my two, now adult, son’s stockings and I will keep doing it until they go on their own. I fill their calze (stockings) with Italian candies and chocolates, tangerines, walnuts and a stuffed animal, a tradition I started on their first Befana. With la Befana the Italian Christmas Season is officially over, as the saying goes “L’Epifania tutte le feste si porta via!” – “The Epiphany all holidays takes away”. It is time to take the Christmas tree down, to store the presepe (Nativity scene) in its box, the wreaths and garlands in the storage room and to turn all the shining lights off. Anyway, if there was not the Epiphany to take all the holidays away, we would still have the Home Owner Association to remind us that we only have this weekend to make sure that no signs of Christmas would be in sight! How many of you celebrate the Epiphany? Anch’io adoro la Befana e anche se i miei figli sono ormai grandi, finche` vivranno con me troveranno sempre la loro calza! Grazie for sharing these beautiful memories!